With the first month of Q2 finally coming to an end, things in the smartphone world have started to look rather simple as we head towards summer. Two major launches that are expected this year are Samsung’s Galaxy Note 6 and Apple’s iPhone 7/iPhone 7 Pro. So as both the manufacturers gear up for a busy second half, we’ve started to see things stir up in the far East as well. While its well known by now that Foxconn and Sharp have started to increase their pace of operations in China, looks like TSMC’s also eager to be not left out of the race either. If you’ve been following the smartphone hardware world closely over the past couple of days, we’ve started to see things heat up quite a bit. Even though its only been months since the Snapdragon 820 got time to settle down, rumors about the Snapdragon 830 were quick to surface. According to sources so far, the processor will be delivering on several fronts aside from increased clock speed for its Kryo cores. Some of the interesting changes that have been mentioned w.r.t the chipset have been 4Kx2K recording and more importantly LPDDR4X, with the latter expected to add significant power savings into the mix. Similarly, just a couple of days back we saw Samsung partially take the wraps off of its plans for the next two years. Not only did the Korean tech giant announce improved 14nm process variants, but we also saw headway achieved towards 10nm and more importantly the 7nm node. Samsung’s highlight of the day was the manufacturer’s command over EUV, and how it plans to integrate the detailed imaging process into its framework. Therefore, as things speed up significantly on the Android side of things, we’re expecting a similar respond from the iPhone front as well. 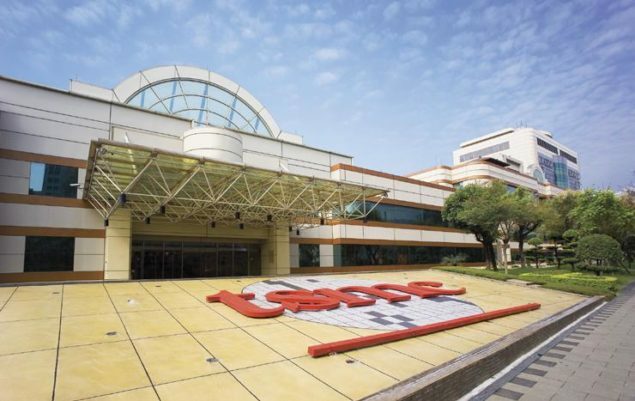 At that end, its still TSMC that’s expected to win Cupertino’s favored A10 order this year, with details already having surfaced on the matter in 2015. TSMC’s got a couple of tricks up its sleeve as well, with the Taiwanese fab’s InFO surfacing a while back. The Integrated-Fan Out approach decreases the overall processor area, which is expected to result in improved conduction and heat dissipation. Now, as things should definitely start taking final form for the iPhone 7, it’s being reported that the manufacturer’s started to increase its capital expenditures as well, with purchases worth approximately $3 Billion reported so far for the year 2016. This massive spending should no doubt help TSMC eliminate the production constraints which the manufacturer faced with the Apple A9 last year. According to recent disclosures to investors, the fab expects to start volume production for 10nm early 2017, so we should definitely expect next year’s iPhone to make the much needed hardware jump. It’s also looking to expand production facilities to China, so we should expect things to take an interesting direction in the near future as well.